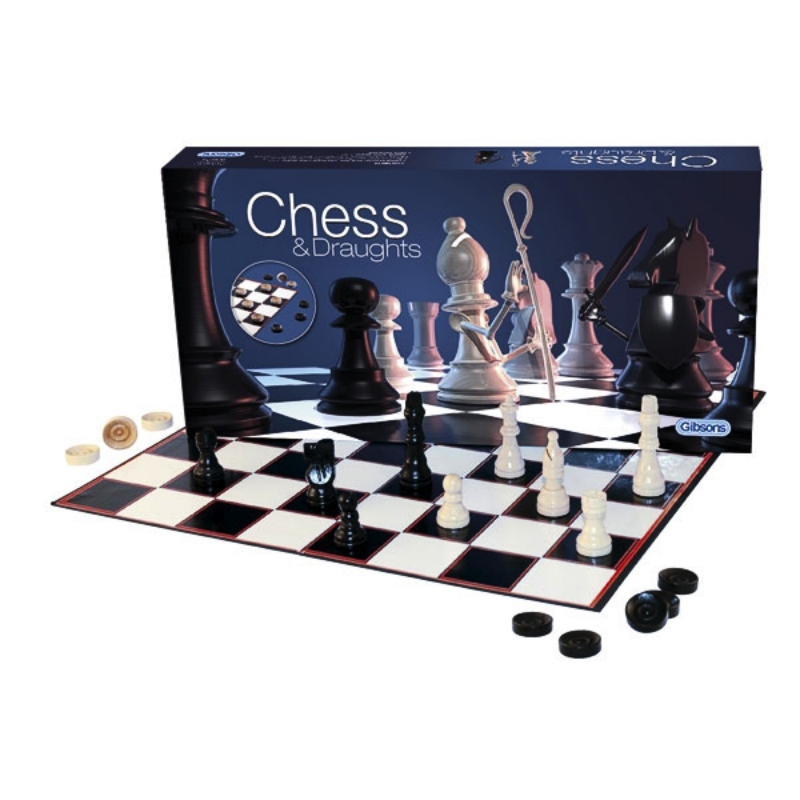 This Chess and Draughts Set has everything you need to play these two classic games of skill. This is an ideal starter set of chess and draughts, with a combination set of wooden chess pieces, King 2.5”, felted bases, and wooden draughtsmen, together with a good quality games board which measures 36cm x 36cm. The game of chess originated in 5th century India; by the 19th century, chess had become established as the most popular of all classic games and the famous design of Henry Staunton became the accepted as the international standard for the playing pieces. The aim of the game is to capture (checkmate) the opponents king. The game of Draughts (also known as Checkers) also dates back to very ancient times and the aim of the game is to take your opponent’s pieces or to trap them, so that he/she cannot move. This Chess and Draughts Set comes with game instructions included.